When I graduated from the University of Minnesota School of Dentistry, I knew I wanted to make my home in Alaska. I feel very fortunate to have been practicing here for over 20 years. I have always strived to provide the highest quality of dentistry and I will continue to do so for as long as I am practicing. I am dedicated to providing the best clinical and personal standard. 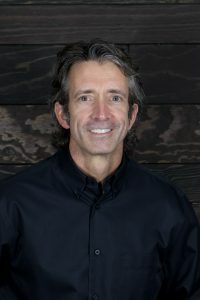 My career has taken me from serving in the United States Public Health Service to an associate dentist with Dr. Jim Libby which led me to my current position as co- owner of Alaska Premier Dental Group and Gentle Care Dental Center. I am a qualified lifetime member of the Crown Council, Smiles for Life, The American Dental Society and the Alaska Dental Society. I have a passion for helping those in need by providing dental care to those who wouldn’t otherwise have access to it. I have participated in and organized dental mission trips traveling to Fiji, Peru, The Dominican Republic, Kenya and Songea, Tanzania. Closer to home, along with my team at APDG, I have teamed up with Romig Middle School by screening students and providing them with care at no cost. On a personal level, I love being a dad and a husband. I am an avid outdoor enthusiast and I enjoy running, hiking, rafting, camping, fishing as well as being passionate about healthy eating and daily workouts. I compete in numerous 5k and mountain races and love it when my three daughters and wife compete with me. During the long Alaskan winters I spend my free time on the slopes on Mt. Alyeska; snowboarding and skiing with my family and friends. I was raised in the small, rural community of Branchville, New Jersey. After graduating from High Point University in North Carolina in 1989, I attended Temple University Dental School graduating in May of 1993. I joined the Indian Health Service as a Bush dentist in Bethel, Alaska for 4 years. I enjoyed my experience flying 22 weeks of the year taking care of native Alaskans. I gained much; honing my dental skills working up to 14 hours per day. 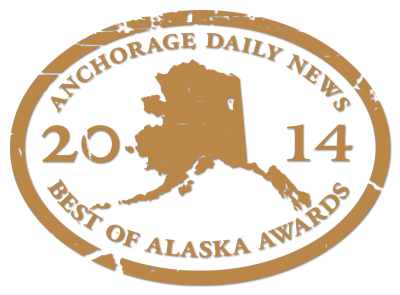 In 1997, I transferred to Anchorage to the Alaska Native Medical Center. Over the next three years, I was mentored in emergency hospital dentistry. This included many hours in the operating room with an oral surgeon and additional Operating Room time with pediatric cases. I valued the continual opportunities to further my education in all clinical specialties through lectures and one-on-one clinical mentoring. From there, I associated with Dr. Jim Libby from 1999-2006 when I became co- owner of Alaska Premier Dental Group and GentleCare Dental Center. One of my accomplishments is becoming skilled in performing complex oral surgery such as dental implant placement and bone augmentation as well as offering Invisalign so I can care for my patients in all aspects of dentistry. 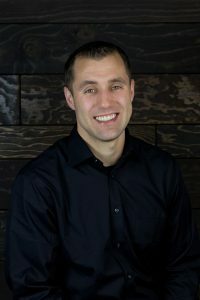 My professional affiliations include The Crown Council, The American Dental Association, The Academy of General Dentistry, The Anchorage Dental Society and The Alaska Dental Society. I have also accompanied my colleagues on service trips to Nepal, Fiji, Peru, The Dominican Republic as well as a personal life-long dream service trip to Vietnam. I truly enjoy the satisfaction of providing dental care to those abroad as well as at home. The reason I studied to become a dentist is because I love working with my hands and I love people. My goal is to put my patients at ease while providing them with exceptional service. If I’m not taking care of patients, I love cooking, living in Alaska and enjoy the outdoors. You’ll find me dirt-biking, mountaineering, snow machining, water-skiing or hunting with my children. My passion is helping you accomplish your dental health goals. Whether it’s a smile makeover, replacing missing teeth, straightening your teeth, or any of the other many options, I am excited to custom tailor a plan to help you accomplish your desires. After completing dental school at Loma Linda University, I practiced in Central California in both a community health clinic and a private practice. Looking for a place to call home and start a family my wife, Melissa, and I fell in love with Alaska. We are happy to call Alaska home, with our dogs and now two children. Having grown up in Vancouver B.C., Alaska has been a seamless fit with its natural playground of mountains and ocean. My weekends and time off are filled with fishing, camping, hiking, biking, surfing, skiing, and flying. I am a member of multiple dental organizations which help me collaborate with other clinicians to provide you with the most up to date care. These organizations include the American Dental Association, Alaska Dental Society, Anchorage Dental Society, Academy of General Dentistry, and the Crown Council. Doing good both locally and abroad has always been a key ingredient in my career and I do this by participating in Anchorage Project Access, Alaska Mission of Mercy, providing pro bono dental treatment for local charities, and global dental humanitarian trips. After 5 years as an associate at Alaska Premier Dental Group, I had the honor to become a partner with Dr. Joe and Dr. Brian. That exciting transition further solidified my commitment to provide you with the dental experience you desire for many years to come. 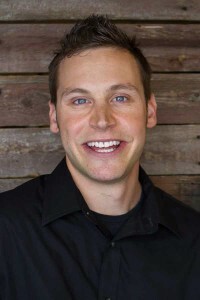 My name is Dr. David Beistline and I am pleased to be a part of Alaska Premier Dental Group serving patients at our beautiful new office in Wasilla. I am originally from Fairbanks and left the state only to pursue my education at the University of Nevada Reno, followed by dental training at Western University of Health Sciences in Southern California. After 10 long years of living in the lower 48, I was finally able to return home to Alaska with my wife Jolene and three energetic children. After dental school, I spent two years working in Anchorage, but my family and I have long hoped to settle down in the beautiful Mat-Su Valley. Joining APDG has allowed us to make this happen and I am eager to now be practicing exclusively in Wasilla. I’m very excited to be here where I can work in the career that I love while enjoying all of the wonderful activities that only Alaska can offer. In addition to dentistry, I enjoy fishing, four-wheeling, camping with my son, playing an active role in my church and just spending time with my family outdoors. I am very excited to be settling down in the Valley and look forward to being your dentist. As a 5th generation Alaskan, I appreciate how lucky we are to live in this amazing state and enjoy providing dental care for my fellow Alaskans. I was born and raised on the coast of Northern California and knew I wanted to be a dentist by the time I was 15 years old. I chose dentistry as my profession due to my love of building relationships with people and my desire to positively impact the lives of others; making people smile and feel good about themselves has always been one of my main objectives in life. I attended Loma Linda University for my dental education and after graduating, my husband and I moved to Alaska to start my dental career. In my free time, my husband and I enjoy hiking and exploring Alaska with our French bulldog, Max. I am very excited to be part of the APDG team and look forward to meeting and serving all of you!